Cate Blanchett is attached to star in a biopic of Lucille Ball, with Aaron Sorkin writing a script that follows her marriage to Desi Arnaz. NBC may follow up Peter Pan Live! with a live staging of Aaron Sorkin's play A Few Good Men. Screenwriter Aaron Sorkin thinks that Christian Bale will 'crush it' in the title role of his Steve Jobs biopic. Screenwriter Aaron Sorkin will turn author Michael Lewis' book Flash Boys into a new big-screen drama, following a group of investors who found a way to rig the stock market. The acclaimed screenwriter takes a unique approach for this biopic, showing only the moments before the reveal of the Mac, NeXT, and the original iPod. 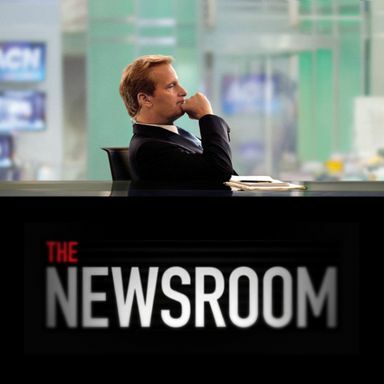 Watch the First Episode of HBO's The Newsroom! The first episode of creator Aaron Sorkin's cable news based drama is now available to watch online in its entirety. The Oscar-winning screenwriter reveals that his upcoming biopic will not adhere to a traditional structure. The Oscar winning writer of The Social Network will adapted Walter Isaacson's best selling biography. Sony Pictures is producing an adaptation of Walter Isaacson's recent authorized biography on the late entrepreneur. Sony is actively seeking The Social Network screenwriter for their upcoming adaptation of Walter Isaacson's authorized biography. Jeff Daniels and Emily Mortimer set to star in the drama, which explores life at a cable network news program. This HBO original series will tell several interconnected stories about the celebrity guests who inhabited the Hollywood landmark. Aaron Sorkin wrote this new series centering on the daily happenings at a cable news network. Olivia Munn will host this Q&A along with other members of the cast and crew on this Sunday. Based on a book by longtime Edwards aide Andrew Young.